Marrakesh, Morocco – A breakthrough was reached over the weekend in the World Intellectual Property Organization negotiations to provide more access to visually impaired people, according to participating sources. Agreement appears to have been struck on the controversial issue of restrictions to the exceptions to copyright that the treaty is proposing to establish. A revised draft treaty text [pdf] was issued on 22 June. Accessible format is available here. The so-called three-step test has been a thorny issue in the negotiations (IPW, WIPO, 14 June 2013). But a new proposed text was issued which is described as a breakthrough by most. A version of the agreed three-step test text was circulated over the weekend and will be made available here soon. The text, which has not been presented to the conference plenary, nor adopted yet, also addresses the issue known as “the Berne gap,” which refers to countries which are not part of international treaties governing copyright, such as the Berne Convention for the Protection of Literary and Artistic Works, the World Trade Organization Agreement on Trade-Related Intellectual Property Rights (TRIPS), and the WIPO Copyright Treaty. 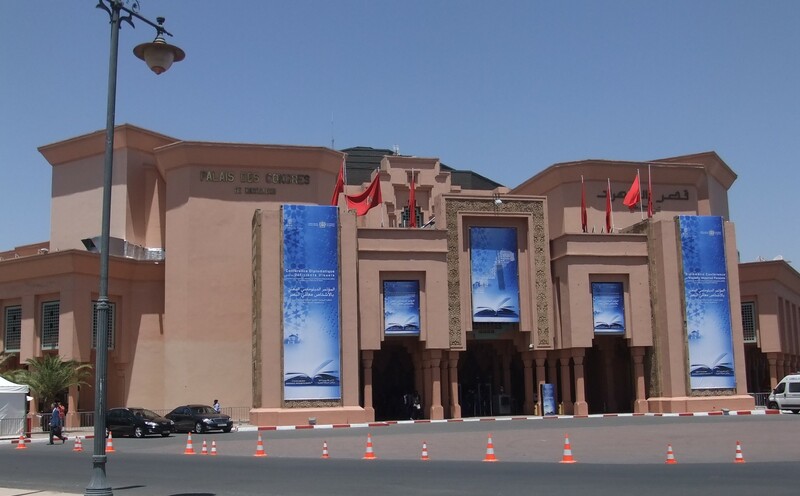 The WIPO Diplomatic Conference is taking place from 17-28 June in Marrakesh, Morocco. The aim is to reach a treaty to facilitate access to copyrighted works by print-disabled persons. According to some sources, WIPO Director General Francis Gurry on 22 June asked delegates to step up the pace of their negotiations and show flexibility. The new text states that when an authorised entity in one of the treaty contracting parties receives an accessible format copy of works, and that particular country is not a member of the Berne Convention, the country will ensure that the accessible format copy is only reproduced and distributed for the benefit of beneficiary persons in that country, according to its national law. The text also contains two agreed statements. One says that nothing in the treaty creates any obligations for a contracting party to ratify or accede to the WIPO Copyright Treaty (WCT) or to comply with any of its provisions. It also says that nothing in the treaty prejudices any rights, exceptions and limitations contained in the WCT. The second agreed statement says that nothing in the treaty either reduces or extends the scope of exclusive rights under any other treaty. According to delegates both from developed and developing countries, this compromise language was agreed on by all and represents a breakthrough in one of the main diverging issue in the treaty. According to the source, the text that was subsequently agreed upon is very close to the African Group proposal, and even provides a better deal. “We are thrilled,” said the source. During a plenary meeting on 23 June, the chair of the main Committee I, Ambassador Selim Kuneralp of Turkey, presented a general summary of the work of the committee, and asked Martin Moscoso of Peru, the vice-president of Committee I, to summarise the work on the specific topics under discussion. It was confirmed that delegates had reached “a full consensus” on both the three-step test and the Berne gap, without any brackets, although the text was not available to most yet. Moscoso said this has changed the spirit of the discussions and there was hope to reach similar achievements on other issues. The placement of the text on the three-step test and the Berne gap, and the one that might be issued on TPMs, is not clear at the moment, he said. According to some sources, the text has not been formally released because it is part of a “package” including other remain issues, such as commercial availability. The new agreed text on the Berne gap and the three-step test was also welcomed by non-governmental organisations and industry, as an important step forward. Article 5.4 – “When an Authorized Entity in a Contracting Party receives accessible format copies pursuant to Article [D(1)] and that Contracting Party does not have obligations under Article 9 of the Berne Convention, it will ensure consistent with its own legal system and practices that the accessible format copies are only reproduced, distributed or made available for the benefit of beneficiary persons in that/its jurisdiction. The distribution and making available of accessible format copies received by an Authorized Entity in a receiving contracting party pursuant to Article [D(1)] shall be limited to beneficiary persons in that receiving contracting party unless the contracting party is a Member of the WIPO Copyright Treaty or otherwise limits exceptions and limitations implementing this Treaty to the right of distribution and the right of making available to certain special cases which do not conflict with the normal exploitation of the work and do not unreasonably prejudice the legitimate interests of the right holder. Nothing in this agreement shall be used to address the issue of exhaustion of rights. Agreed statement concerning Article [D4]: It is understood that nothing in this Treaty creates any obligations for a Contracting Party to ratify or accede to the WCT or to comply with any of its provisions and nothing in this Treaty prejudices any rights, exceptions and limitations contained in the WCT. A representative of the International Association of Scientific, Technical & Medical Publishers (STM), told Intellectual Property Watch that on the language of the new text, there is significant progress as it addresses the issue of re-exporting copies of work received under the exception provided by the future treaty, but it does not however address the main issue for industry, that of the export of copies that are made in the country. However, he said, a solution is possible. Of concern for industry are for example larger developing countries such as Brazil or India, or others which are not part of the Berne Convention and in which companies could be hosted that engineer a large volume of accessible format works, the representative said. In no way against this role, he said, industry feels exports from those companies should be subject to the three-step test, as the re-exports currently are under the draft text. At the outset of the meeting, according to sources, some 37 issues were still pending, with four or five notable ones. A number of issues still remain to be solved before the drafting committee starts its work, such as commercial availability, the rights of translation, technical protection measures, and the exportation of accessible format copies of works to individuals. This is particularly important, a visually impaired observer told Intellectual Property Watch, in small African countries and poorer countries. Subsequently, the USPTO identified 142 pages of related documents in which can be seen the concerns of industry about the treaty and proposed changes in the text that would alleviate those concerns, in particular the three-step test and the Berne gap. Emails in that document bear the names of regular WIPO observers and some are addressed to Justin Hughes, one of the US negotiators at WIPO and that diplomatic conference. WIPO also issued the list of officials [pdf] who were elected to different committees (Credentials Committee, Main Committee I, Main Committee II, Drafting Committee), as well as the first report [pdf] of the Credentials Committee. According to a WIPO official, the Credentials Committee reviews the credentials of delegates to make sure they comply with the rules of procedure and determines which delegations have credentials to sign the final act and which ones have the credentials to sign the treaty. "WIPO Negotiators Reach Breakthrough On “3-Step Test” In Treaty For Blind" by Intellectual Property Watch is licensed under a Creative Commons Attribution-NonCommercial-ShareAlike 4.0 International License. Glad WIPO is finally taking this important step! As mentioned above, KEI received an FOIA request of emails between industry representatives and US Government officials. In that 142 page document, there were eight references to the Munich Declaration which was the substance of the now withdrawn Article I.
Withdrawn or otherwise, what is going on here may be that industry representatives and some Member States see the broader use of exceptions & limitations based on (as in the former Article I.) “human rights and fundamental freedoms” in other pending WIPO treaties and elsewhere as the focal point, rather than the minutiae as to how to deliver accessible copies around the world to appropriate Article B Beneficiary Persons — and to ONLY those persons.